Olivia Calloway takes an assistant position at prestigious law firm Harris & Harris. The problem is, Olivia's a terrible employee. Not that her gorgeous new boss Garrett Emerson seems to mind. 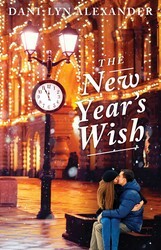 But Olivia's first big assignment--to plan an elaborate last minute New Year's Eve party for the entire company--could make or break her job entirely.